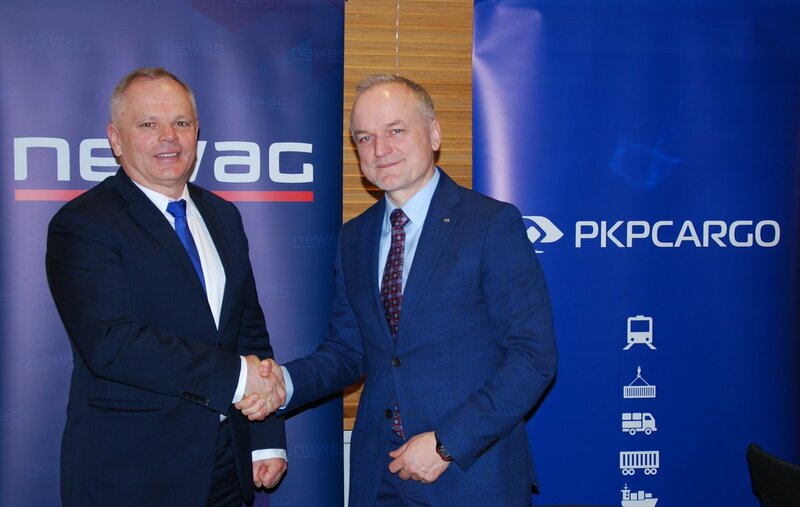 PKP Cargo, the largest rail freight operator in Poland, has awarded Newag a contract to modernise 60 SM48 series diesel locomotives. The PLN 388 million deal (∼€93 million) will see the locomotives converted to ST48 series, which will see the generator, brake apparatus and other machinery replaced between October 2018 and May 2021. The locomotives will be equipped with a modern control system and a new driver’s cab will be adapted for a one-man service. The contract also includes the supply of software and the necessary licenses to operate the locomotive as well as a set of specialist tools for diagnostics and repairs of the internal combustion engine. PKP Cargo president Czesław Warsewicz said the modernisation will help to “improve the traction efficiency of locomotives while significantly reducing fuel consumption and improving the availability”. The agreement between the two parties was signed on April 4.